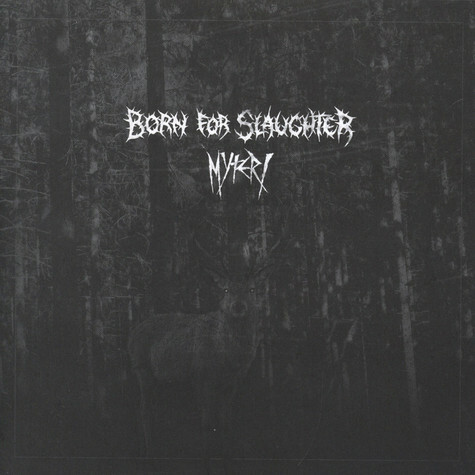 Born for Salughter are by far the best crustpunk act from Macedonia! This is truely a way to split this piece of plastic for both bands as this is by far the way to go! Myteri are a new all-star band deriving from Gothenburg. Some of the members are from Eskatologia; and this sound is still intact. Ten songs of misery and despair; d-beat and booze throughout this raw mayhem.